Bishop of Winchester. Born born there of good parentage in the early years of the tenth century; died August 1, 984. 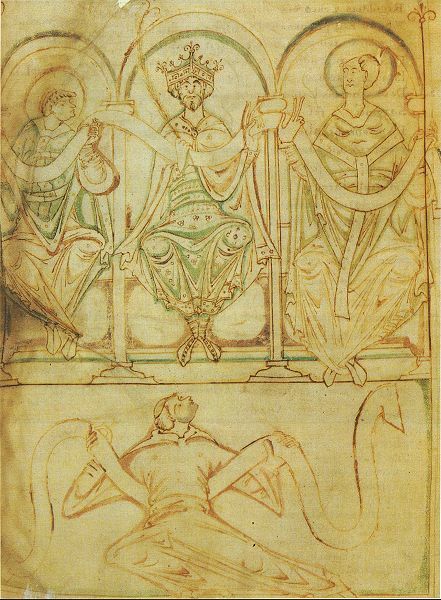 King Edgar seated between St. Æthelwold, Bishop of Winchester, and St. Dunstan, Archbishop of Canterbury. From an eleventh-century manuscript of the Regularis Concordia. After a youth spent at the court of King Athelstan, Ethelwold placed himself under Elphege the Bald, Bishop of Winchester, who gave him the tonsure and ordained him priest along with Dunstan. At Glastonbury, where he was dean under Saint Dunstan, he was a mirror of perfection. In 955 he became Abbot of Abingdon; and November 29, 963, was consecrated Bishop of Winchester by Dunstan, with whom and Oswald of Worcester he worked zealously in combating the general corruption occasioned by the Danish inroads. At Winchester, both in the old and in his new minster (see Saint Swithin), he replaced the evil-living seculars with monks and refounded the ancient nunnery. His labors extended to Chertsey, Milton (Dorsetshire), Ely, Peterborough, and Thorney; expelling the unworthy, rebuilding and restoring; to the rebellious “terrible as a lion”, to the meek “gentler than a dove”. The epithets “father of monks” and “benevolent bishop” summarize Ethelwold’s character as reformer and friend of Christ’s poor. 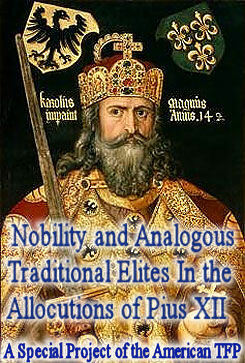 Though he suffered much from ill-health, his life as scholar, teacher, prelate, and royal counselor was ever austere. He was buried in Winchester cathedral, his body being translated later by Elphege, his successor. Abingdon monastery in the twelfth century had relics of Ethelwold. He is said to have written a treatise on the circle and to have translated the “Regularis Concordia”. His feast is kept on August 1. Not to be confounded with the foregoing are (2) St. Ethelwold, monk of Ripon, anchoret at Lindisfarne, d. about 720; feast kept March 23; and (3) St. Ethelwold, Abbot of Melrose, Bishop of Lindisfarne, d. c. 740; feast kept February 12.